By David Teo, 11 Jul 2011. 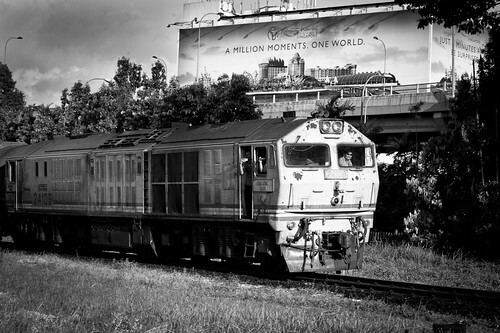 A KTM Train comes to a stop at Tanjong Pagar KTM Railway station. Today the station is closed and the tracks are forever silenced. This is part 4 of a 5 part series on “The Last Train”. Part 3 can be found here. By David Teo, 9 Jul 2011. 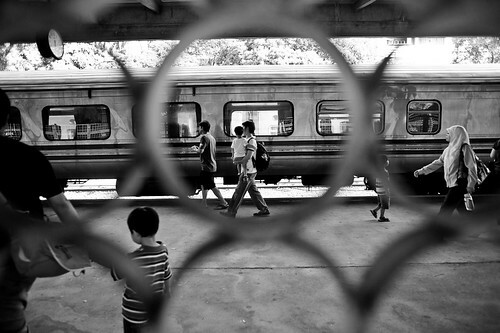 This post is a follow-up from Part 2 of “The Last Train” series, a planned 5 part series focusing on the closure of the KTM railway in Singapore. By David Teo, 7 Jul 2011. 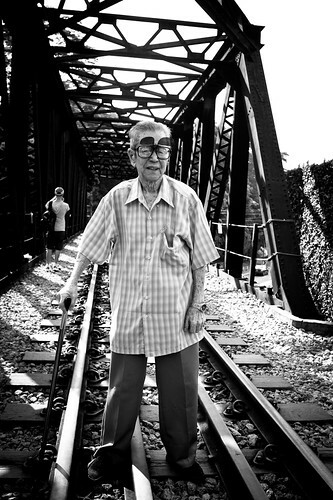 This post is a follow-up from Part 1 of the 5 part series “The Last Train” documenting the end of the KTM railway in Singapore. By David Teo, 5 Jul 2011. Don’t miss the last train! By Jerome Lim, 18 May 2011. The last day of June this year will bring to a close a long chapter in our history, one that will break a link we have had with the Malayan Railway, now operated by Keretapi Tanah Melayu (KTM), that went back some 108 years. The railway’s beginings can be traced back to the Singapore-Kranji Railway which started service in 1903 providing a link from the north down to the terminal station in Tank Road. A ferry service was introduced which provided rail passengers with a link to the Johor Railway across the Straits of Johor which was replaced by the rail link across the Causeway when that was built. It was a railway deviation in 1932 that diverted the railway to its current terminal at Tanjong Pagar, cutting a path through from Bukit Timah deviating from its original route over towards Ulu Pandan, Buona Vista, Tanglin Halt, towards the new grand terminal built to provide Singapore with a station that was befitting of its economic importance. Beside the grand old station, it was this deviation that possibly provided us with the many structures that give the areas through which the railway passes through a unique flavour as well as helping preserving parts of old Singapore: the two distinctive black truss bridges across Bukit Timah Road; the girder bridges across at the road entrance to Bukit Timah Hill and at the entrance to Hillview Avenue; the quaint old station at Bukit Timah and the wonderful green corridor that has been maintained along much of the railway land. By Jerome Lim, 14 May 2011. On the 30th of June, we will see the last day of operation at the grand old station at Tanjong Pagar. The station, grand not in terms of scale, but in the magnificent style in which it was built, has served Singapore as the southern terminal station for close to eight decades, having been completed in 1932 to provide a city fast growing in economic importance with a station befitting of its status, and being part of a deviation of the railway which had prior to that, run through the Bukit Timah corridor before terminating at Tank Road. 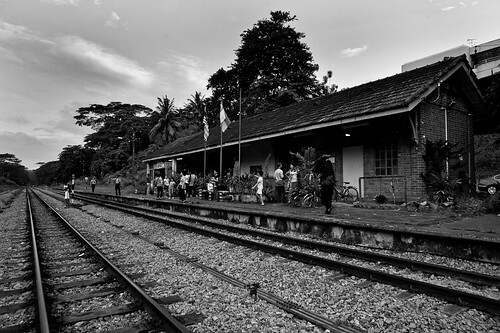 With the return of the railway land which has been held on a lease by the successors of the Malayan Railway, Keretapi Tanah Melayu (KTM) and the shift of the southern terminal on the 1st of July, the age of rail travel across Singapore, which has lasted a little over a century, would draw to a close. Operations at the grand building which has served as the southern terminal of the Malayan Railway since 1932 will cease on 1st July 2011. Jurong Line: Is this Goodbye? By Daphne, 22 Feb 2011. It was close to 20 years ago when the last train went down the tracks of the Jurong Line of the KTM Malayan Railway in Singapore. These tracks, which run from the Jurong Industrial park to Bukit Timah, has since been dismantled in part, but mostly left abandoned. In May 2010, news that Tanjong Pagar Train Station, the only remaining train station part of the KTM Malayan Railway Network that still functions in Singapore, was going to move north to Woodlands broke out. 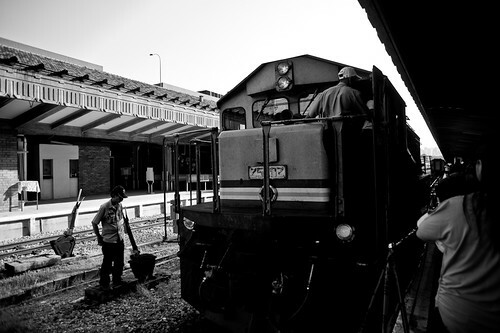 The KTM Malayan Railway has for years brought people and goods from Malaysia to Singapore and vice versa. Since then, there has been speculation as to what would happen to these railway tracks – both the line that runs from Tanjong Pagar to Woodlands, and the Jurong Line. I took a walk down the Jurong Line, two Sundays ago, and to my dismay, work on removing these tracks had already started. By Jerome Lim, 14 March 2011. I have always been one for train rides, taking one every opportunity I get whenever I find myself with time to spare, be it from the grand stations of the great European cities, or from stations closer to home, with a particular liking for the old style railways that I sometimes stumble upon. In Singapore, the opportunity had presented itself throughout my life I guess, but somehow, I never embarked on a journey from the grand old station at Tanjong Pagar until I was well into my adulthood, making many trips in the 1990s. Trains always present themselves as a convenient means to get around from one city to another, taking one from the centre of the city right into the heart of another. So it is with the Malayan Railway as well – for another few months at least when Keretapi Tanah Melayu Berhad (KTMB or KTM) moves the terminal station from Tanjong Pagar to Woodlands. With that, we will bid goodbye to the old railway lines which has served Singapore since the turn of the last century, as well as an old railway station in the heart of the city. The last opportunity to take a train from an old style station in the heart of Singapore, on a line that has served Singapore since 1932 (parts of it date back to the turn of the last century), through Singapore’s countryside, before train services terminate at Woodlands by the time the 1st of July arrives.